If you didn’t know that today is National Tortilla Chip Day, you just found out. 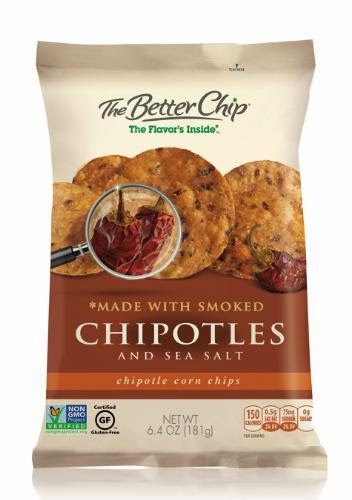 The BetterChip Company known for its motto Better Chip from the Inside Out honors the day with the launch of two distinctive flavors: the Chipotle and the Beet chip. The Better Chip Beet chips and the Better Chip Chipotle chips are available nationwide in more than 10,000 grocery stores. The Chipotle chips are described as rich, with a smoky flavor and a warm heat. Red-ripened jalapeno peppers are smoked over wood chips to create the chipotle pepper, then are crushed and cooked into whole grain corn masa. Eat them with bean dip, guacamole and with spreadable cheese and slice of salami. 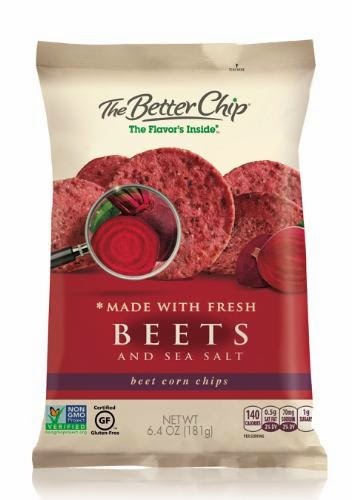 The Beet chips are simple, bold and bright and are made with fresh beets straight from the field that are cleaned, chopped and cooked into every batch. Pair nicely with hummus, goat cheese and Greek yogurt dip. Both products are gluten free, cholesterol free and non-GMO verified and suitable for vegans. Each serving has on average 150 calories. For a guilt-free evening, pour your favorite wine and grab a bowl of Beet and Chipotle chips, a few slices of cheese and you are all set. Cheers!